The Harbour Chair designed by Norm Architects for Menu is comfortable as well as versatile. The chair is suitable for restaurants, conference rooms and your own home. Not only does it ensure comfort with its high backrest, but it also seduces every design lover with its elegant and slender appearance. 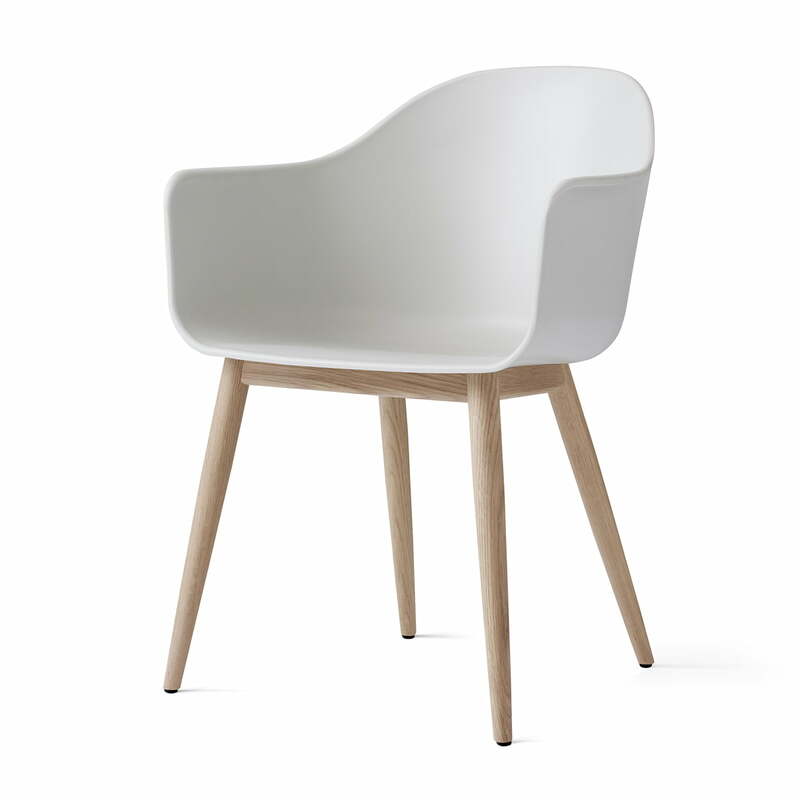 The Harbour Chair is made of wood and polypropylene. The four-legged frame, featuring rounded legs that taper towards the floor, supports the seat shell made from fibreglass reinforced plastic. The chair with armrests adapts perfectly to any environment and can be used as a discreet chair at the dining table or as eye-catcher in the hallway. The Harbour Chair by Menu is also available with leather and fabric upholstery as well as a frame made of steel. 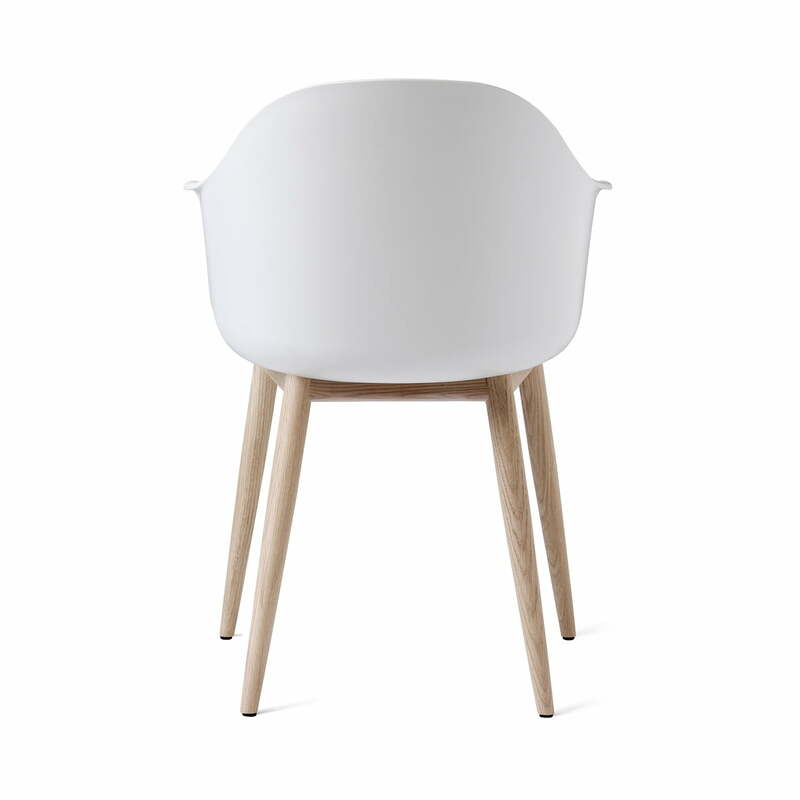 Isolated product image of the Harbour Chair by Menu in natural oak and white. 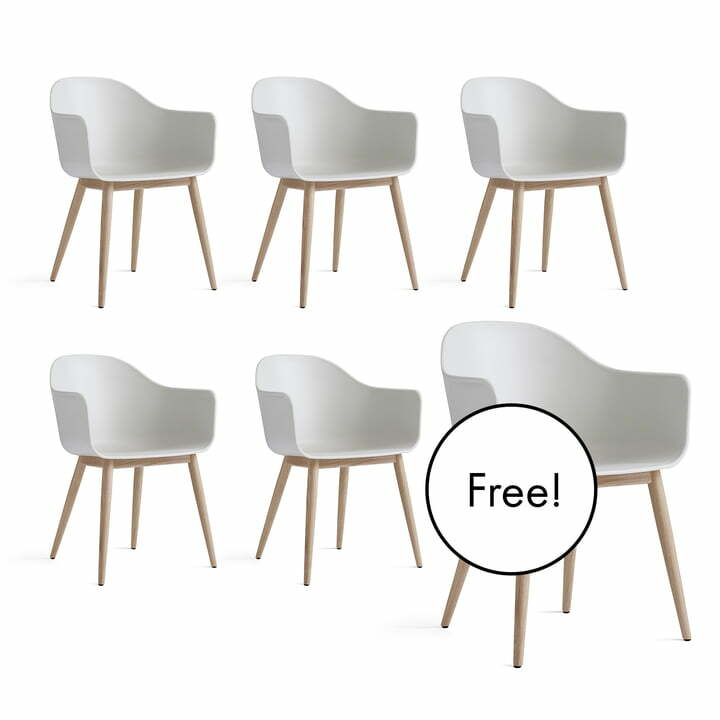 The Harbour Chair consists of a four-legged wooden base that supports the white polypropylene seat shell. 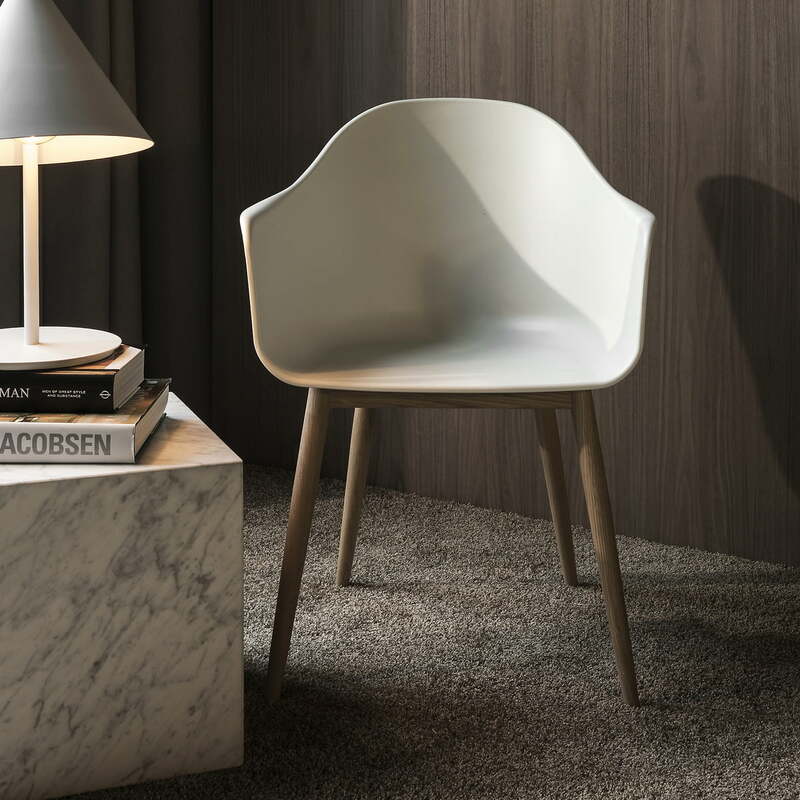 Isolated product image: The chair with armrests adapts perfectly to any environment and can be used as a discreet chair at the dining table or as eye-catcher in the hallway. Isolated product image: Not only does it ensure comfort with its high backrest, but it also seduces every design lover with its elegant and slender appearance. 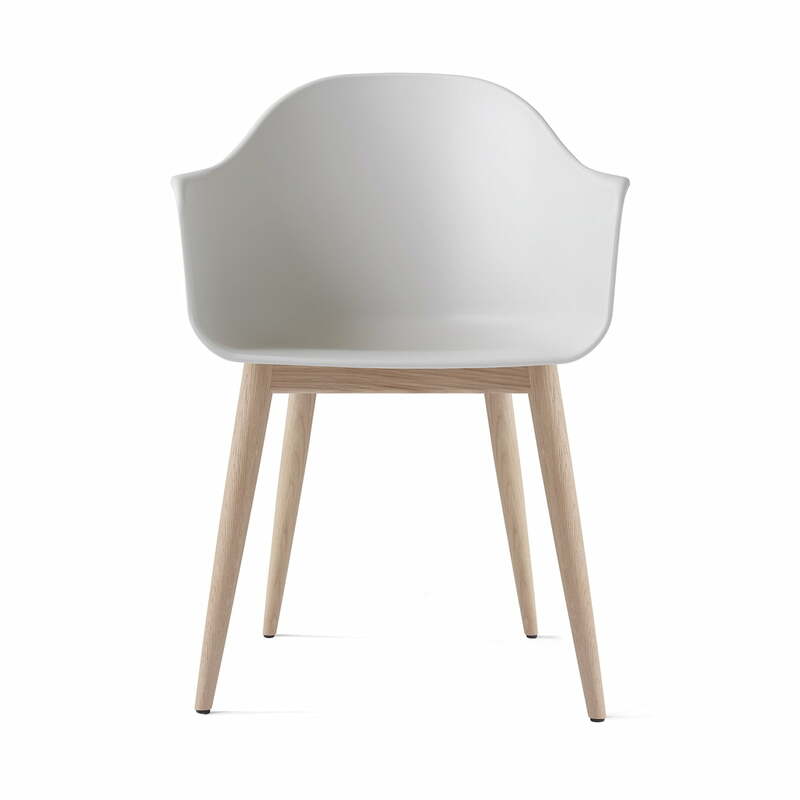 Isolated product image of the Harbour Chair by Menu in natural oak and white. The chair is suitable for restaurants, conference rooms and your own home.